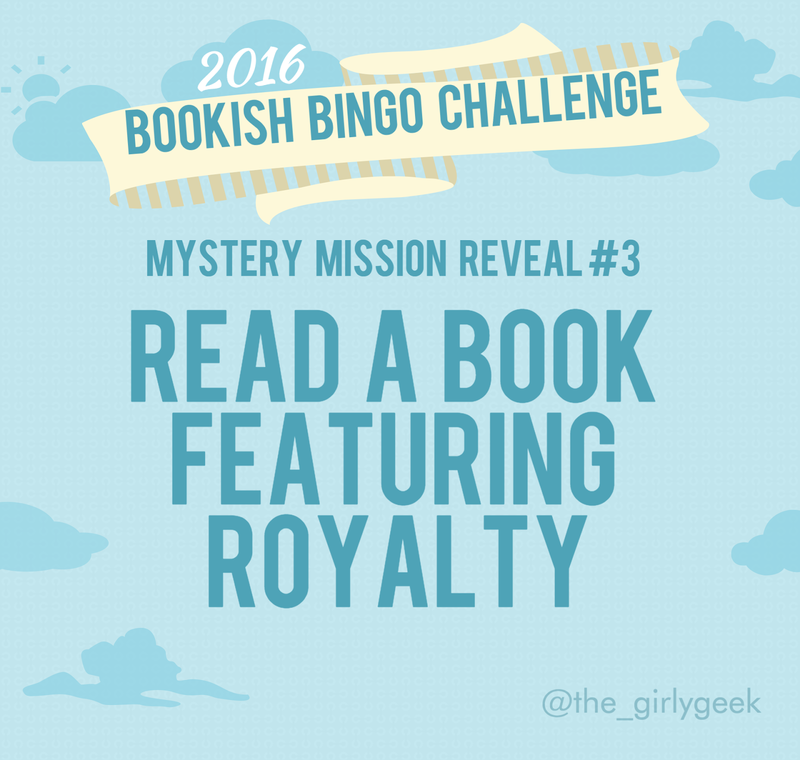 The Girly Geek: Mystery Mission Reveal #3 // The 2016 Bookish Bingo Challenge! Mystery Mission Reveal #3 // The 2016 Bookish Bingo Challenge! Hey guys! I know I've been MIA for quite some months now, but I'm back with the third mystery mission reveal. I know it's very late, so I won't make you wait any longer.. here it is.. This idea was inspired my my fascination with royalty, both in real life and in fiction. There's just something about the throne that throws the stakes up a little higher. It's thrilling. This challenge can include anything from a rich fantasy novel, to the Princess Diaries! I know I'm still behind with releasing these missions but I promise they'll be coming out soon. Thanks for your patience and enjoy the challenge.